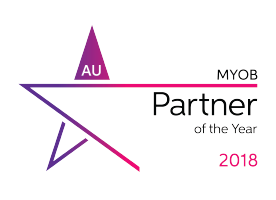 Kilimanjaro has again been awarded MYOB Partner of the Year in 2018. What makes the award so special this year is that the award cuts across all of MYOB’s Enterprise Solutions: MYOB Advanced, MYOB Exo and MYOB Greentree. In 2018, MYOB was officially confirmed as the Number 1 choice for ERP software in Australia/ N.Z. This makes Kilimanjaro the Number 1 partner of the Number One choice of ERP Software. The Management Team and representatives of Kilimanjaro attended the MYOB Enterprise Partner Conference in Byron Bay, Australia in March. The conference is an annual event where we have the opportunity to meet with the MYOB team, other MYOB partners and Independent Solution Vendors. We review the previous year’s activities and discuss MYOB’s plans for the year to come. The theme for the 2018 conference was ‘Transforming the mid-market.’ Incidentally, this reflected Kilimanjaro’s MYOB Exo User Group Forums, (that we have been hosting across Australia and New Zealand) with a theme of ‘Business Transformation and Metrics that Matter’. During the conference, we were very impressed to hear about the ongoing improvements and updates for MYOB Exo and MYOB Advanced. A themed dinner “Hot Arabian Nights” included the announcement of the annual High Achievers Awards. 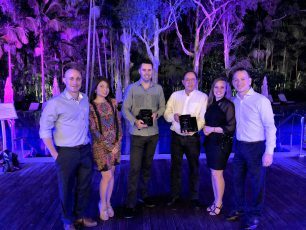 Kilimanjaro was thrilled to have won The MYOB Partner of the Year 2018 and the 2018 MYOB Excellence in Business Development Award. These awards are a testament to the hard work and consistency of the tribe and highlight the success of the proven methodologies that drive our business. This further demonstrates our consistent performance in delivering efficient services to our clients. 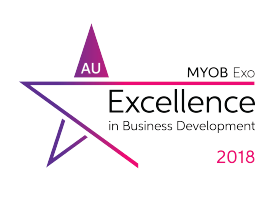 In 2019, Kilimanjaro is honoured to have once again received the MYOB Excellence in Business Development – Exo award. In this year, the awards we have achieved hold a very special meaning for us. In line with MYOB being awarded the number 1 choice of ERP software in Australia and New Zealand, Kilimanjaro has reached the incredible milestone of being MYOB Business Development Partner for the 8th consecutive year in 2019. Kilimanjaro has been awarded MYOB Diamond Partner Status and retains this status in 2019. This reflects our position as the premier implementer of MYOB Exo and MYOB Advanced. For Kilimanjaro, this is a special award as three years ago Kilimanjaro was the first MYOB partner to be awarded Diamond Partner status. Today we are proud to have maintained this every year for those 4 years. Winning and maintaining our position as the largest and most experienced MYOB Partner is essential to achieving what Kilimanjaro strives for each year. It is important to us that we can show our clients the hard work and extreme care we have for every one of our clients. These awards showcase not only the great work of our team, but the trust businesses have invested in us. However there is always room for improvement, and the competition is a stark reminder to us that we will continue to strive to be the best for our clients. We are skilled, experienced and proud to be most recognised MYOB implementer in Australia and the Number 1 Partner of MYOB. We want to say a big thank you to MYOB for their remarkable marketing, continuous work on the software and for recognising our hard work. This encourages our strong partnership, which delivers the best outcomes for our clients. None of this is possible without our dedicated Kilimanjaro tribe members. We are proud to say that our people are our greatest asset. Thank you!